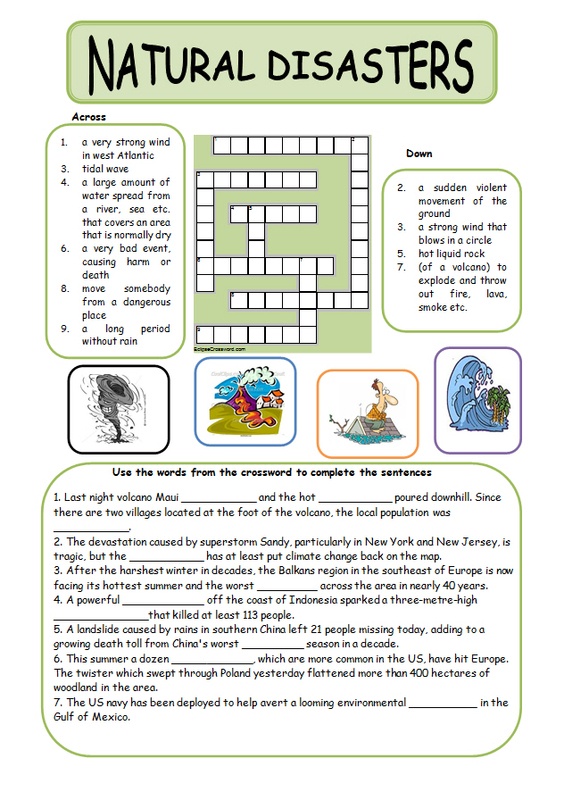 This worksheet consists of two exercises: a crossword puzzle and a gap-fill exercise. 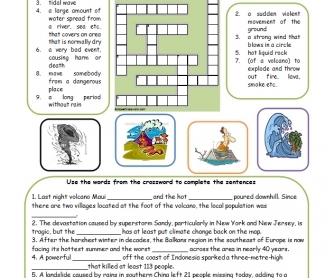 It can be used for practising or revising the vocabulary related to natural disasters. It is fun and you can check your students' spelling. The key is included. I hope you'll find it useful.